Our course starts at 10am sharp so we would ask you to arrive between 9.30am and 9.45am to ensure registration is complete before we begin. NOTE: During the 2nd half of the day you will have a speaking slot where you can perform a 2-3 minute speech. You can bring a pre-prepared script (up to 3 minutes) or build one during the seminar with us. You don't have to speak if you don't feel like it, but we would encourage you to take the opportunity. NOTE: If you purchased a Groupon Voucher it is essential that you bring your voucher along with the security code. The security code has a format that looks like the one in the red box in the image below. With that, we would like to wish you a fantastic experience. 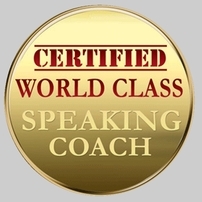 Say goodbye to your fears and say hello to your public speaking career.